Technoton Engineering boosts projects which are dedicated to wireless sensors development. Today the final testing development stage of BLE wireless pressure sensor has passed. Wireless BLE pressure sensor is a turn-key project which is done completely in-house by the team of our developers. Off-the-shelf product is developed on Smart Sensor Platform and targeted for application in such areas like industrial process monitoring, automotive telematics system, off-road vehicles state monitoring, agriculture equipment and similar monitoring systems. 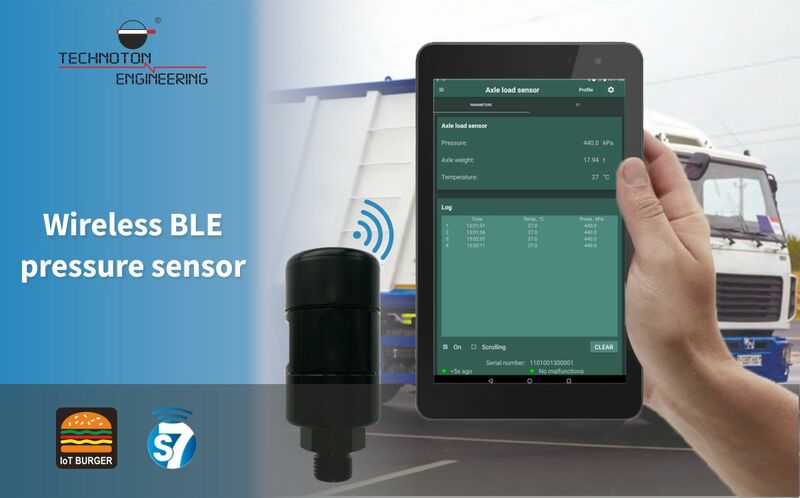 BLE wireless pressure sensor is offered on the market as a white label product or as a complete set of engineering documentation including PCB layout and embedded software. Thanks for your interest! We`ll call You back ASAP.